4. 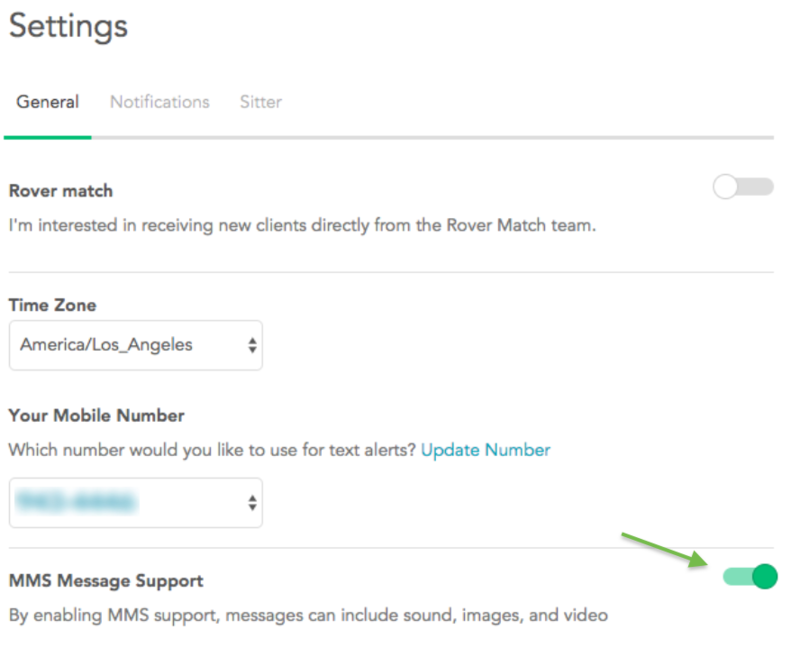 Once enabled, you can choose the phone number you’d like to receive the notifications on. 6. 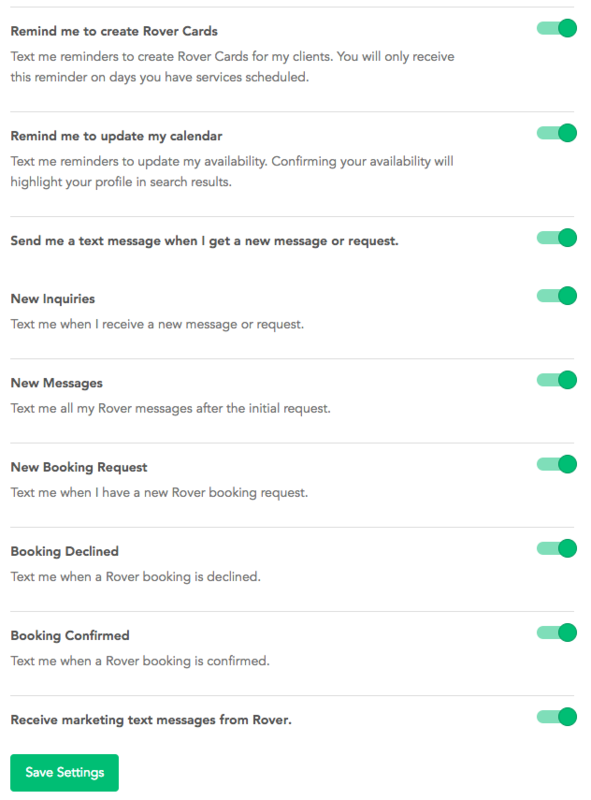 Next, in the Notifications tab, you can choose from a series of notification options for new inquiries, new messages, new booking requests, bookings declined, bookings confirmed, marketing messages and more. 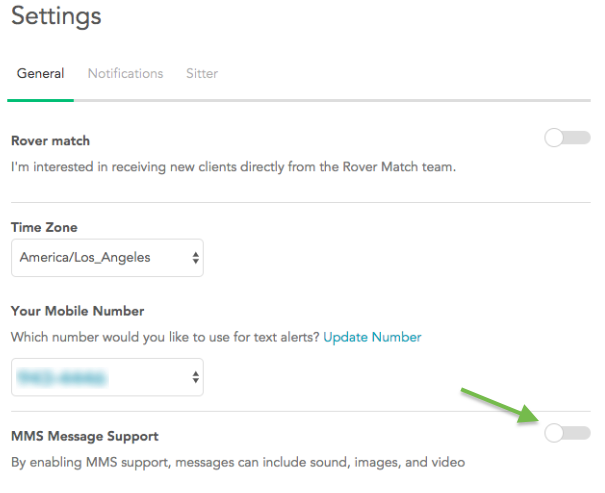 Toggle the circles to green to turn them on and to white to turn them off.